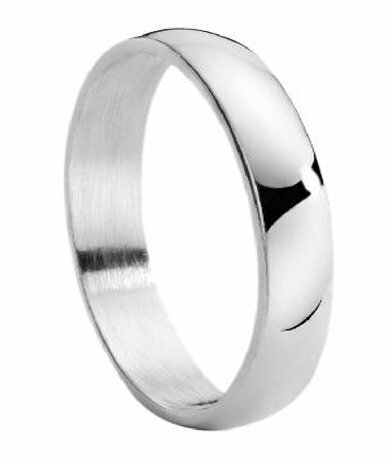 Every cloud has a silver lining, but not every silver ring does.In fact, a lot of them tend to fit terribly, deteriorate quickly, or cost a small fortune. 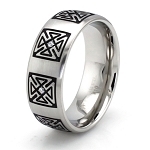 Talk about having your hopes washed away with the rain!This stainless steel ring, however, gives you all of the high-polished class of a silver ring without the hassle and the price.Rain or shine, this ring will remain unblemished.In fact, you can count on this ring staying shiny, comfortable, and attractive for years to come. Nice looking ring. Lightweight. Just what we were looking for. Great transaction and good product quality! Would use again!! Couldn't be happier... 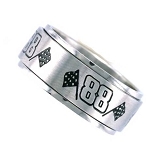 The ring is very nice and was delivered quickly. 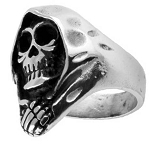 I will be ordering from justmensrings.com the next time I am in the market.